The Haas Institute has released a new report on the US refugee resettlement program analyzing the challenges the program has faced throughout its history. Entitled “A Pivotal Moment for the US Refugee Resettlement Program,” the report traces the historical development of the program, describes the challenges it is currently facing, and outlines the negative implications that would result from further cuts to the program. 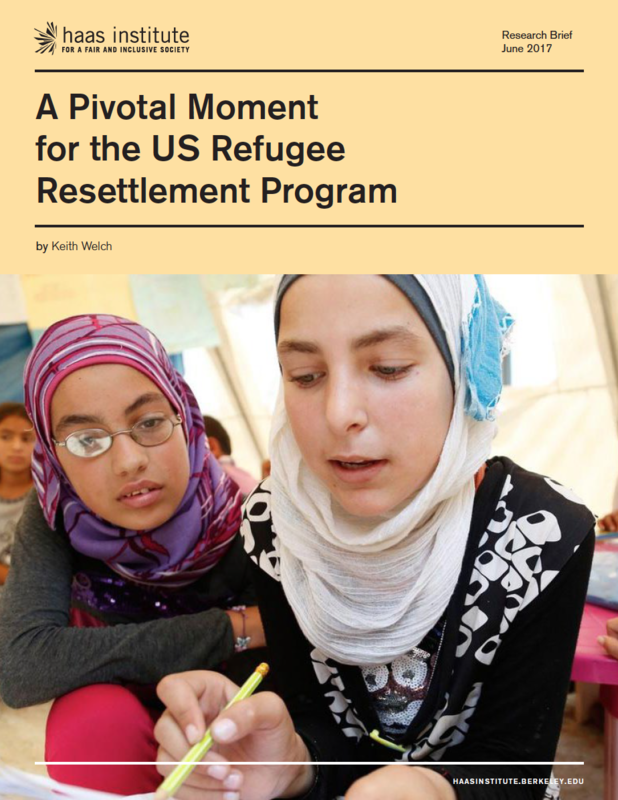 After providing a detailed description of the structure of the resettlement program, the report demonstrates that since the program’s enactment in 1980, the amount of federal funding devoted to it has declined while the refugees entering the US have become more diverse and in need of more intensive support. The report analyzes the many attempts by lawmakers at the state and federal level to restrict the program, which threaten to worsen the tensions the program already faces and ultimately undermine the US commitment to refugee protection. The need for robust international collaboration to provide protection for refugees is unprecedented. Nearly one out of every 100 people in the world is currently displaced from their homes—higher than at any point since the United Nations High Commissioner for Refugees began collecting data on displaced persons in 1951. A weakened US resettlement program could damage existing efforts to increase international collaboration to address this crisis, research that is part of the Institute’s report, “Moving Targets: Forced Migration in the Twenty-First Century.” It argues that the US needs to reaffirm its historical commitment to refugee resettlement and welcome refugees regardless of their country of origin, race, or religion. Specifically, policymakers should consider changes at the federal level that increase the overall number of refugees, particularly from Syria, resettled in the US.